**Motivated Seller + BONUS** This is the VILLA youâve been waiting for! 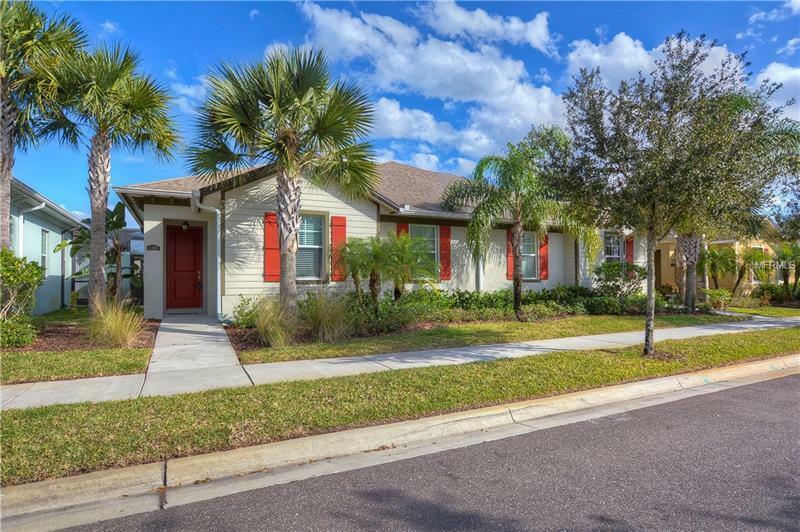 In the gated community of Ravinia near Carrollwood/Citrus Park/Westchase this Luxury Courtyard 1-story Townhome offers 1867 htd sf w/3 Bedrms/2 Baths/2-Car garage accessed through a rear alleyway. Spacious & well designed with advantageously placed windows & 8â French Doors makes this home light & bright. Centered is a private screened courtyard perfect for grilling & entertaining accessible from the dining area great room & master bedroom through the French Doors. An open floor plan offers ceramic tile floors flowing throughout. The richly appointed chefâs dream kitchen has staggered Espresso cabinets convenient drawers beneath the built-in oven & two large drawers under the cooktop for pots/pans etc. Silver subway style tiles enhance the stunning backsplash coordinating w/stainless appliances. Abundant counter space & large island are topped with Caesar Stone Quartz so you can enjoy casual dining at the breakfast bar. Roomy eating area. The sizable master bedroom offers a walk-in closet sure to delight. The master bath has a walk-in shower bench granite topped double sink w/vanity & âHeavenlyâ walk-in Jacuzzi style tub. This hidden gem offers the perfect combination of style and comfort w/energy efficiency in mind. Hurricane shutters included. Amenities include Lakeside Clubhouse w/pool fitness center multi-purpose room built-in grills gated dog park & playground. Lawn care provided by the HOA. Come see for yourself!